Intellectual Property Rights (IPR) are not high on the agenda of today’s Ukraine Reform Conference in Copenhagen. Rightfully, anticorruption and rule of law are given priority. However one should hope that Ukraine will strive to implement the reforms in the IPR sector before their internally set deadlines. It would provide additional securities for potential investors, and an improving economy is something Ukraine is in dire need of. Civil society has an important role to play in popularizing the concept of IPR protection within the population, as we found out within the IEP project “Civic School for Sound EU Practice”. 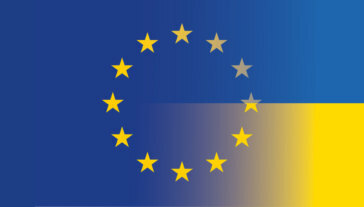 The Deep and Comprehensive Free Trade Area (DCFTA) within the EU-Ukraine Association Agreement contains an entire chapter on intellectual property rights (IPR) with provisions aimed at harmonizing Ukraine’s legislation with the EU acquis in this field. Since the agreement came into force preliminary in January 2016 and officially in September 2017, Ukraine has taken first steps to improve its IPR legislation. A new law on cinematography was passed and the cybercrime unit of the National Police of Ukraine was trained to better tackle online copyright infringements. In May 2018, crucial legislation on management of ownership rights of copyright holders and related rights was approved by the parliament. It should improve the long-criticized ineffectiveness of collective management organisations (CMO) in the country, though its proper implementation needs to be closely monitored. Despite these first steps, there are still a number of draft laws stuck in the legislative process of the Verkhovna Rada. Beyond the legislative changes, Ukraine is also working on setting up relevant institutions. The competent authority on IPR is the Ministry for Economic Development and Trade. In 2017, legislation to create a specialized Intellectual Property High Court was passed, which should become operational in the second half of 2018, though judges specialised in IPR are still scarce. Another newly created body is the Intellectual Property Council that became operational in June 2018 and should allow representatives of executive authorities, business and civil society to coordinate the reform process. Though progress is visible, Ukraine’s IPR reform pace is slow and its national action plan envisages the deadline for the legal harmonisation of the DCFTA “Intellectual Property” chapter only by the end of 2023. This does not go unnoticed with Ukraine’s partners. In February 2018, the European Commission moved Ukraine from Priority list 3 to 2 for sluggish reforms in the IPR field. Ukraine also remains on the Priority Watch List of the current US Special 301 report. This trend can be changed if the awareness of possible profits for Ukrainian economy helps keep the reform course steady.